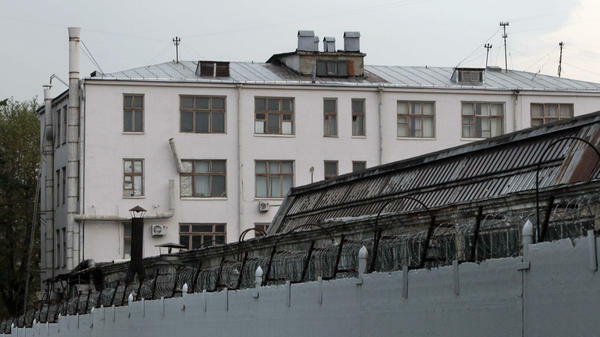 Ex-U.S. Marine Paul Whelan is being held in Moscow's Lefortovo prison on accusations of espionage by the Russian government. Dmitry Makarenko was arrested on Dec. 29 in the Northern Mariana Islands, a U.S. territory and has since been transferred to Florida. Makarenko was indicted in June 2017 on charges of money laundering and trying to export night-vision gear and ingredients for making ammunition to Russia without a license, according to court documents. The crimes were allegedly committed in 2013. Last January, he was listed as a fugitive by a U.S. District Court judge in Florida. The Russian government says the U.S. inappropriately delayed notifying Russian officials about Makarenko's arrest. NPR's requests for comment to the Department of Justice and Makarenko's attorney weren't immediately returned on Saturday. "We regret that American law enforcement continues to hunt for Russian citizens," said Russian Deputy Foreign Minister Sergei Ryabkov, according to the state-run TASS news agency. Ryabkov also warned Russians to "weigh the consequences of traveling abroad." Earlier this week, Whelan's Russian lawyer told ABC News that he thinks there is a possibility his client will be exchanged for a Russian in U.S. custody. That assertion has fueled speculation over whether Russian President Vladimir Putin would attempt to trade Whelan for Russian citizen Maria Butina, who pleaded guilty in December to conspiracy to act as a clandestine foreign agent. Ryabkov rebuffed those suggestions on Saturday. "As to the possibility of exchanges of one sort of another, it's impossible and incorrect to consider the question now," Ryabkov said, adding that Whelan hasn't yet faced formal charges, according to the Interfax news agency. Whelan's lawyer, Vladimir Zherebenkov, has previously said he was charged on Dec. 28, when he was arrested. The Russian announcement comes as Britain's foreign minister, Jeremy Hunt, warned Moscow not to try to use Whelan — who is a citizen of Britain, the U.S., Canada and Ireland — for political purposes. "Individuals should not be used as pawns of diplomatic leverage," Hunt said Friday. The U.S. ambassador to Russia, former Utah Gov. Jon Huntsman, visited Whelan on Wednesday at Moscow's Lefortovo prison, a State Department official told NPR. The ambassador expressed support for Whelan and offered the embassy's assistance. Huntsman also spoke with Whelan's family by phone. "We've made clear to the Russians our expectation that we will learn more about the charges," U.S. Secretary of State Mike Pompeo said Wednesday, adding that "if the detention is not appropriate, we will demand his immediate return." It wasn't until days after Whelan's arrest that the FSB publicly acknowledged he was in the agency's custody, saying in a brief statement that Whelan was arrested [on Dec. 28] during a "spy mission" and that he is the subject of an investigation." David Whelan has said his brother was in Moscow for a wedding and has been outspoken about what he says are false Russian accusations. "Paul is a kind and considerate brother, son and uncle, and a generous and loyal friend," David Whelan wrote in The Washington Post on Friday. "He is many things to many people, but he is not a spy."